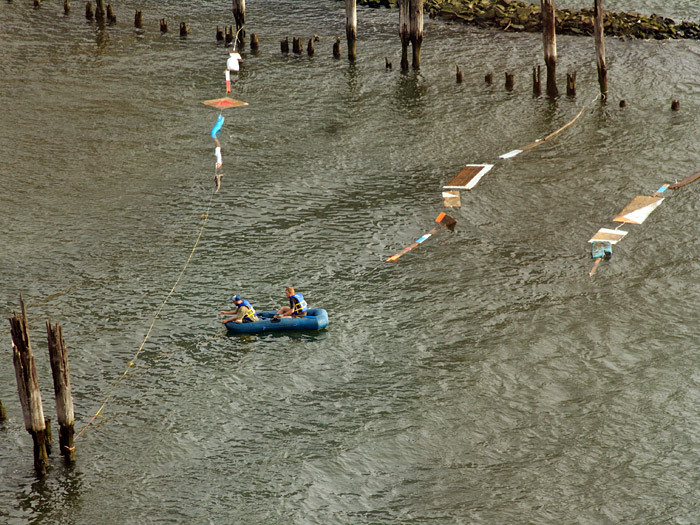 During August and September 2008, with my friend and artist MOMO, we have been setting up, without any kind of permission, kinetic sculptures in the New York waterways. 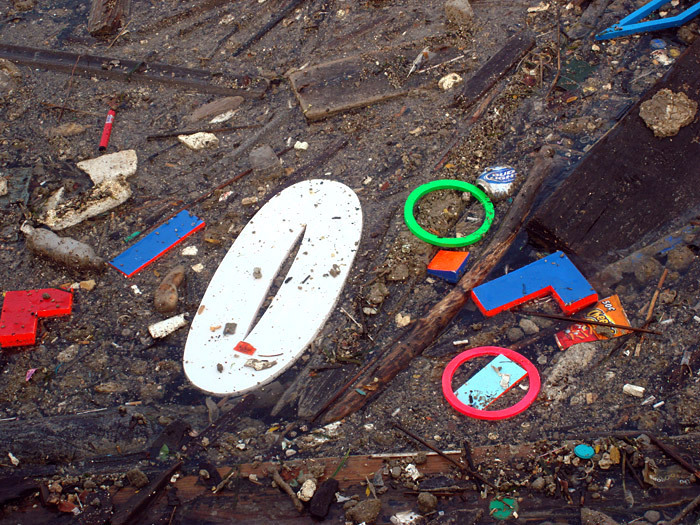 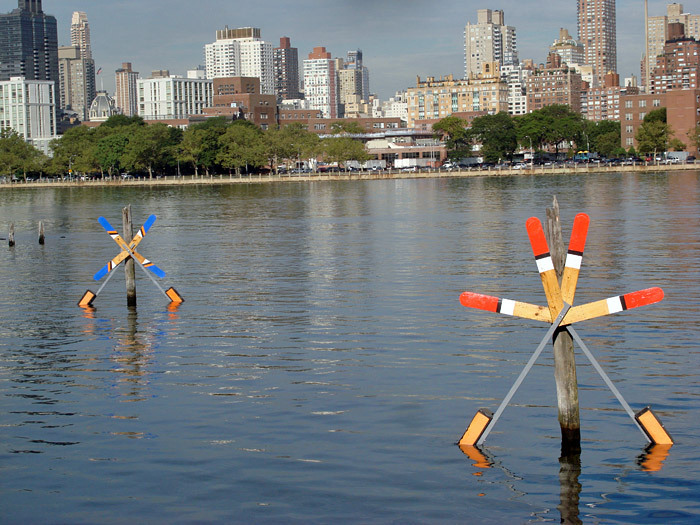 Plaf is a word for splash in both Spanish and French and relates to the on-going project that features kinetic sculptures that have been placed and fastened in several locations in the New York Waterways. 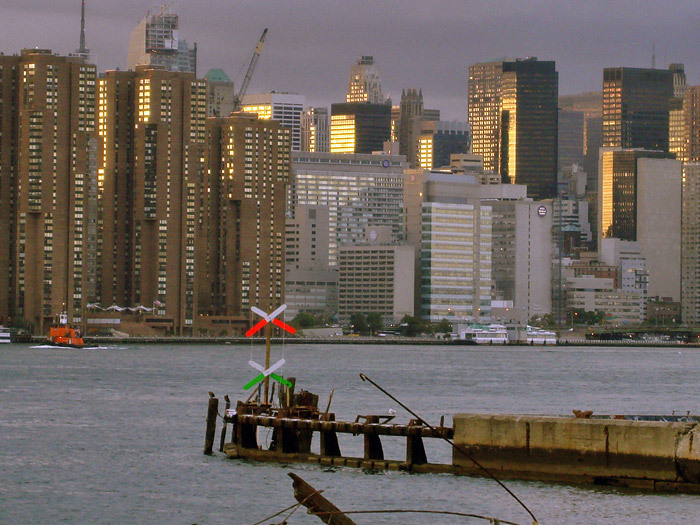 Constructed from used materials, the work will be left to the elements as a way to explore the force and power of water that goes unused and unnoticed in New York City. 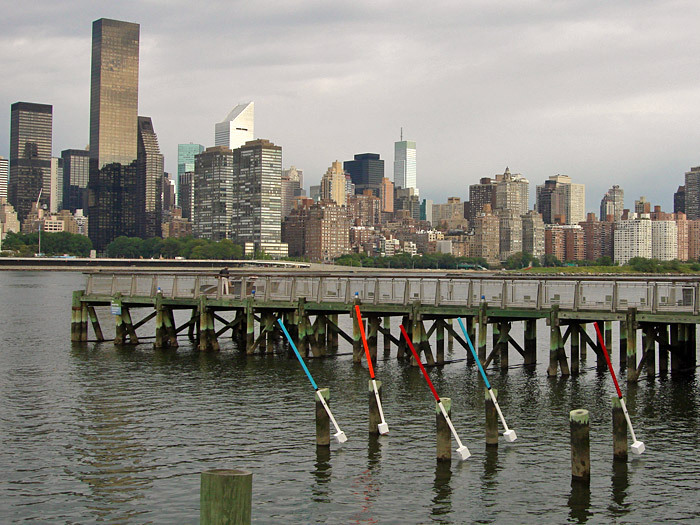 Using the rivers water, wind, tides, and currents, the sculptures will shift and decay, leaving the work just as it is without comment on form or representation. 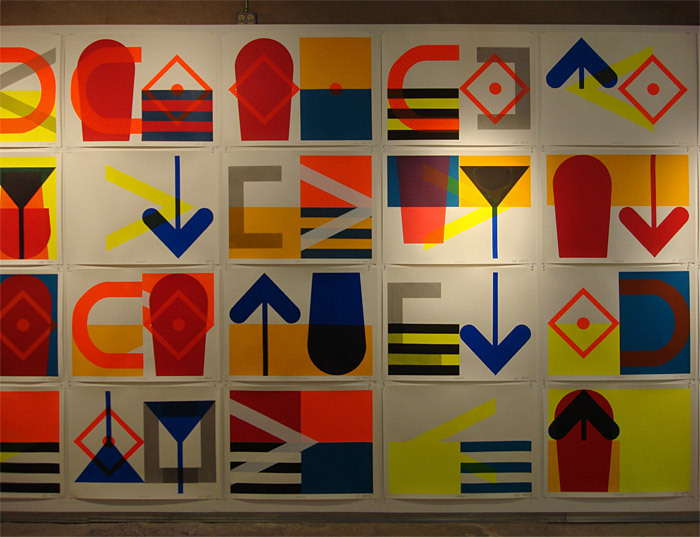 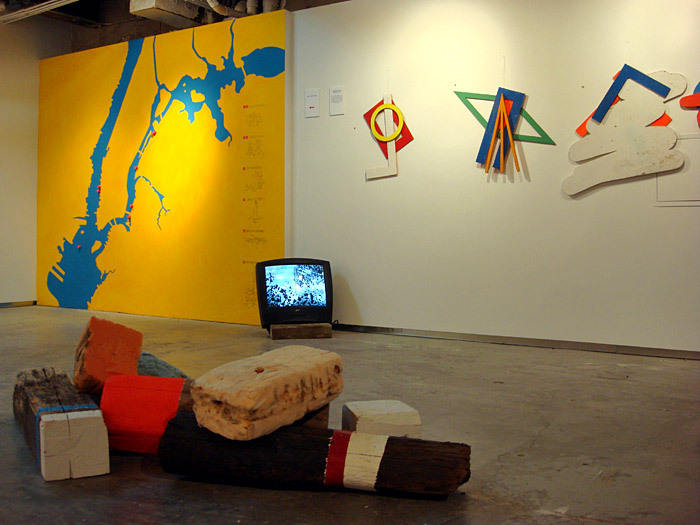 An indoor exhibition happened at the same time at the Anonymous Gallery.